Lord Ganesha, also known as Ganpati Bappa, has come back this year!! The favourite God of the marathi population, is being welcomed at homes in Mumbai and Pune with a pomp, even as I type. Vighnaharta, or the vanquisher of obstacles, brings happiness(hence called sukhakarta) and joy to the hearts of the people. Ganesha, stays for a period ranging from one and a half day to 10 days, when he is worshipped by his devotees. This is the time for all the faral(special delicacies like chiwda, karanji, shankarpali, modak etc.) prepared to please the elephant headed God. At the end of 1oth day, devotees will bid him farewell, with a plea to come back next year, and he is then submerged in the water. Here you can find the complete details to the beliefs and the origin of the festival. 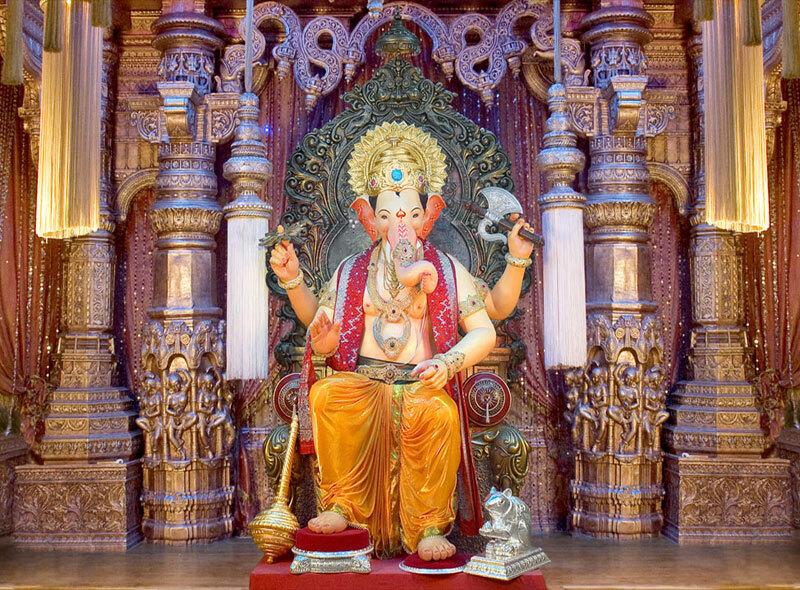 Check out the photo of the Lalbaugcha Raja(The king of lalbaug). very acttrative&very nice in my life i have seen firt time is god!!!!!!!!!!!!!! !